As a children’s church leader many years ago, I loved telling Bible stories in a way that modern children could relate. I didn’t change the stories, but I gave them a modern feel. Director David A.R. White has taken that same approach with The Book of Esther. Biblical movies tend to include certain cliched details that let us know they’re period movies. – strong accents, Old English dialogue, marketplace scenes ( usually with animals running around), and a specific colorization. The Book of Esther has none of these. Instead, it has characters like us, only in beautiful period-inspired costumes. If you’re looking for a traditional Biblical film with epic cinematography and big, dramatic scenes, this is not for you. However, if you’ve ever read a Bible story and wondered what it would have been like to be one of the characters, you’ll appreciate the intimate feel of this movie. 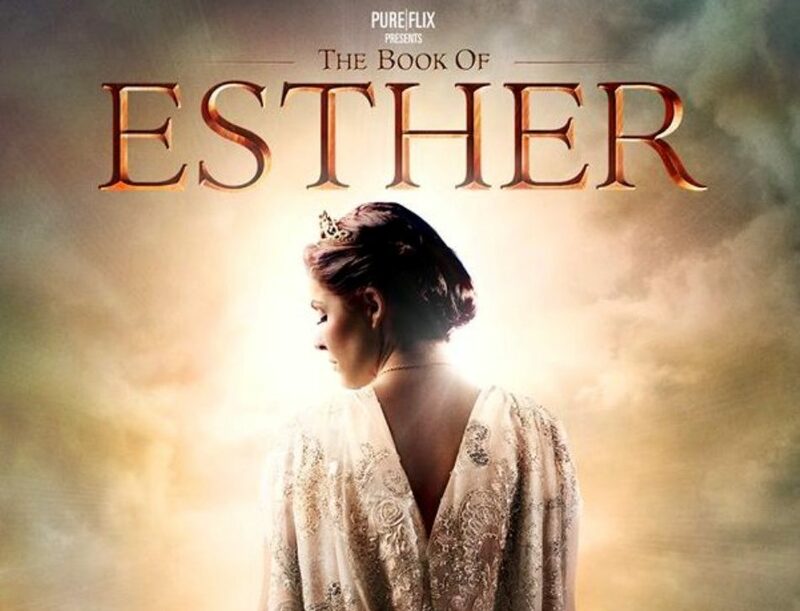 The Book of Esther takes a behind the scenes look into the lives and minds of the main characters. We get their unique perspectives on the events that occurred in the transformation of a Jewish orphan into Queen of Persia. At times the movie feels like a soap opera, which makes perfect sense considering many of the actors have a soap background. However, it’s subtle, and as a rule, not over-the-top. Jen Lilley shines as Esther. She’s beautiful, vibrant, charismatic, and real. Robert Miano is equally strong as Mordecai. Linda Bisesti and Thaao Penghlis had me laughing throughout the movie. They are such fun villains. Eliza Roberts was also fun as Esther’s gossipy friend. And Joel Smallbone holds his own, making his film debut as King Xerses. This movie will appeal to Christian audiences who are familiar with the Bible story, but it will be equally entertaining to a secular crowd as the spiritual aspects of the movie are interwoven into the story and not tacked on as separate sermons. I knew right off something was wrong with the acting when Haman was talking with his wife. The actress who played Haman’s daughter should have played Esther and vice versa. One night with the King was better in my opinion.